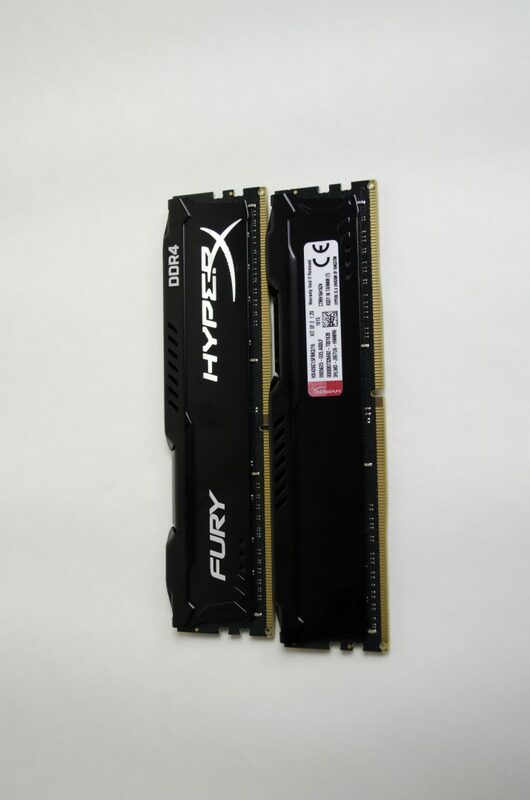 Today, we will be taking a look at the HyperX Fury DDR4 RAM in a 16GB (2x8GB) 2666MHz Kit. RAM is an essential part of any new PC build but can often go overlooked and consumers settle for whatever they can afford. However, with all the different speeds and latencies available, is there really much of a difference between them all? Well, we will take a look at that in just a bit, but once thing I can say is the Fury DDR4 from HyperX definitely looks quite appealing. 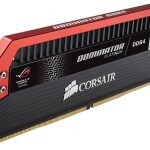 For those who are not quite ready to make the jump to DDR4, they Fury RAM also comes in a DDR3 variant which is also available in a few different colours such as white, red, blue and black. Since the initial released of DDR4 with Intel’s X99 platform, we are starting to see much better prices. RAM prices are finally starting to get back to where they belong and not costing an arm and a leg, which is always nice. As mentioned above, a 16GB kit of the FURY DDR4 will cost you around £60, which is definitely an intriguing price. The release of DDR4 brought lower voltages, where we used to see 1.5-1.65V kits, we are now seeing 1.25-1.35V kits, but with these come higher latencies. Now, some will argue that the higher speeds from stock will sort of overrule the higher latencies, and while this may be right in some cases, it is still something to take note off. You can always try to tighten you RAM’s timings and overclock them to a higher MHz, but this isn’t always guaranteed and shouldn’t be expected. The HyperX Fury is definitely an appealing looking kit of RAM. The black PCB and black heatsinks really make it look great and will help it to fit in with a number of user colour schemes and builds. 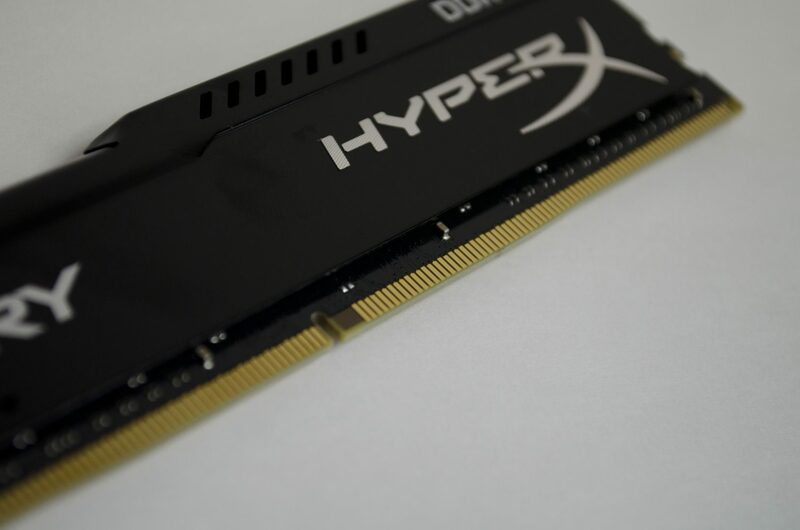 There is plenty of branding on this kit of RAM but HyperX has managed to still do it tastefully and have it look nice. The top of the RAM, which will mostly be what is seen in builds features a simple HYPERX test that is off-centered to the right just a bit. The white text on the black heatsink really pops and is definitely easily readable. Another thing which seems to have become the normal standard for RAM since DDR4 was released is black PCBs. 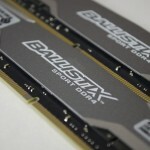 Now, there were DDR3 kits with black PCBs but now, most RAM kits feature this black PCB instead of just a few. Black is definitely a lot nicer on the eyes rather than those old horrible green DIMMs. 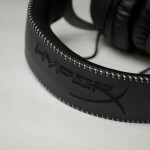 As you can see in the image below, one side has the nice HyperX Fury branding, while the other has a sticker. 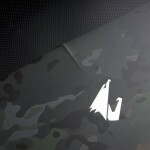 All jokes aside, this sticker actually contains some important information should a problem ever arise. 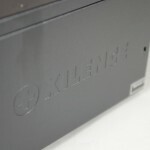 Also, make sure not to remove the sticker unless you are happy to void your warranty! When it came to overclocking the Fury DDR4 kit of RAM, I went all out. I’m glad I did too as I managed to hit an amazing 3200MHz which is an increase of 534MHz from its stock settings. What’s even better is how simple it was to do, I just upped the voltage a bit and set the frequency to 3200MHz and that was it, job done! While I may have been able to tighten the timings a bit more, I was so amazed at how easy it was to hit the 3200 mark (first try) that I decided to leave it where it was. 3200MHz was as high as I could take it, though, but I was still happy with this. This will also be a great way for us to see if there is any real difference in speeds of RAM, or if companies are just blowing smoke trying to charge us more for minimal performance gains. So without further ado, let’s look at some of the benchmarks and see how well the FURY DDR4 does at both stock and OC speeds. When I asked for the HyperX FURY DDR4 RAM kit to be sent in for review, I mentioned I would be using it for my test bench and that I will. Not only does it look great, it offers some good performance and matches the pair of FURY SSD’s I’m running in the Skylake based test system. 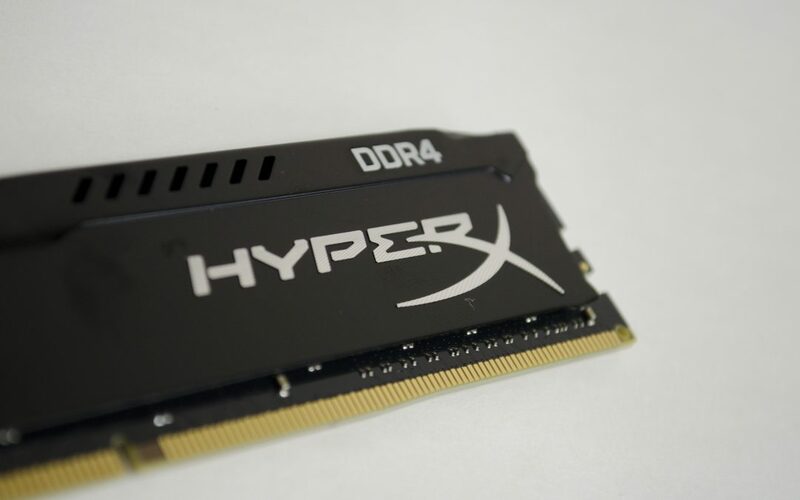 HyperX has done a great job with this RAM kit and it shows, the overclock alone was amazing and offered a nice bump in performance which is always nice. 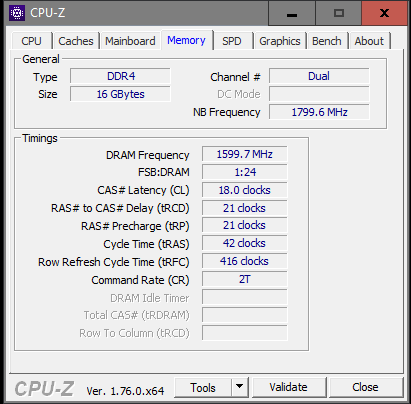 The performance on offer from the 2666MHz Fury DDR4 is right where it should be. Looking back at our benchmark results and you will see it going back and forth with a similar speed kit of RAM. 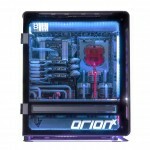 Where the real potential was unlocked was the overclocking ability. Being able to take these Fury DDR4 from 2666MHz to 3200MHz with only a bump in voltage is amazing. 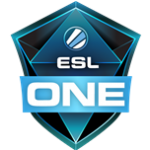 Not only will it allow for a bit better performance as you saw in the benchmark results, it was also so simple to do almost anyone can do it. 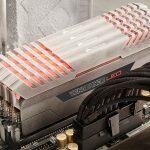 While overclocking won’t be for everyone, those interested will be pleased to know how easy it is to get that extra bit of performance out of the Fury DDR4 kit. 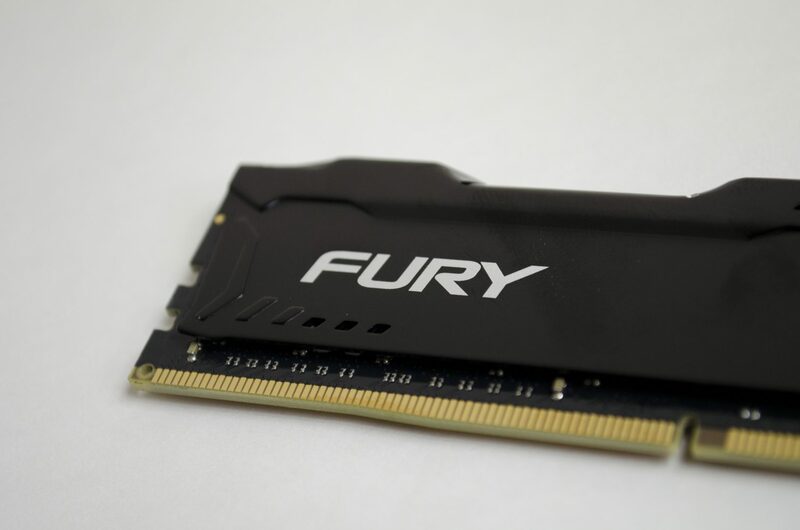 The Fury RAM features a fairly standard design in the sense it has a black PCB and comes with a low-profile heatsink on it. The PCB and heatsink are both black with some white text on the heatsink so there is no mistaken that this kit of RAM is anything other than HyperX Fury DDR4. The simplicity of the design will go a long ways as not only does it look good, it should also allow it to fit in with more builds and colour schemes. The low-profile heatsinks will also allow this RAM to be compatible for more aftermarket CPU coolers which can be a concern. A lot of the bigger heatsinks do impose some RAM restrictions when it comes to the size of the heatsink, so it’s nice to see HyperX go with the lower profile option. As I mentioned, RAM prices are finally starting to get back to normal. For £60 you can bag this 16GB kit of 2666MHz RAM which may have cost you a bit closer to £100 just a few months back. While this kit is one of the cheaper kits of its size, don’t let that fool you. 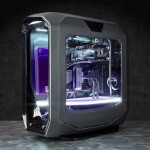 For the money, you are still getting a kit that is more than worthy of your hard-earned money thanks to its looks, performance and overclocking capability. 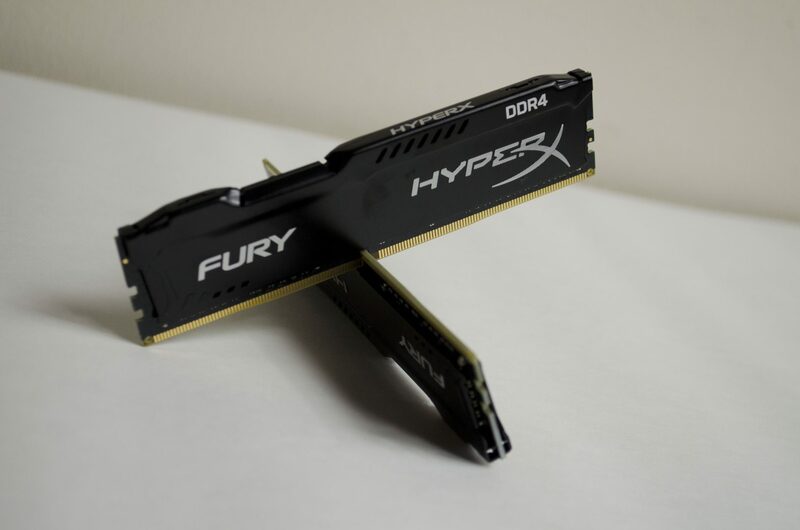 Even with RAM prices returning to a more normal level, the HyperX Fury manages to take it one extra step and allow them to also offer amazing performance! 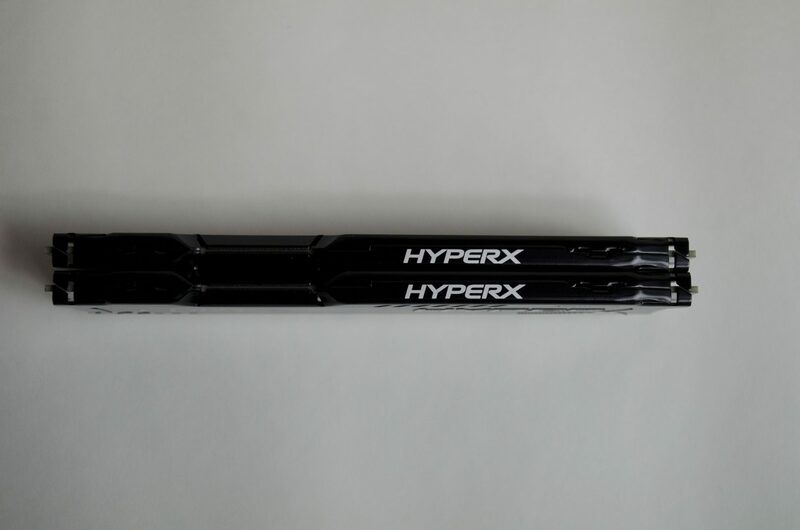 Many thanks to HyperX for today’s sample and make sure to check for them in future reviews as they will now be part of our Skylake test system! 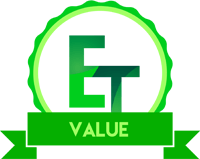 Want to discuss this review further, head on over to the HyperX Fury DDR4 2666MHz RAM thread, in the Enos Tech Reviews Sub-category on the Gaming Exodus forums!